For anyone who has tasted it, this old fashioned, no-bake icebox cake just might be the closest thing to a culinary miracle you can get. Even if you didn’t grow up eating this incredible dessert, now is your chance to make sweet memories of your own. All you need is some whipped cream, the thinnest, crispiest cookie ever, and about ten minutes. 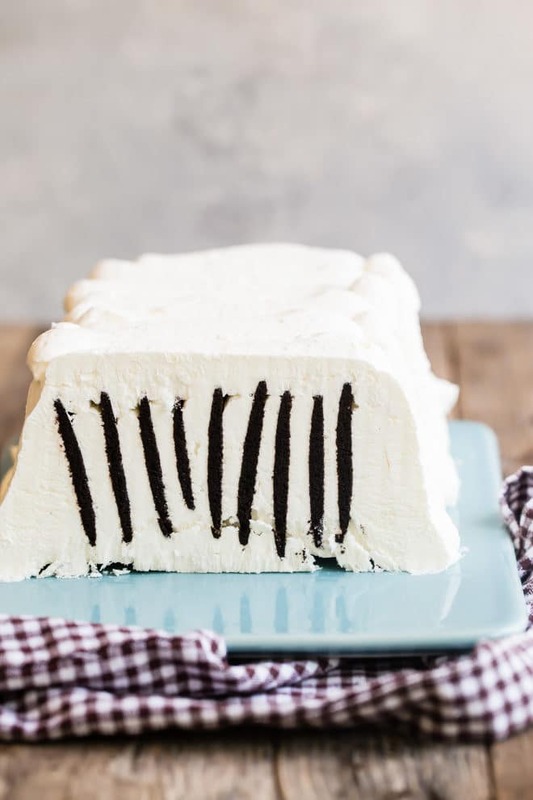 You may know it as the ultimate Oreo, zebra pudding, refrigerator roll, the classic IBC, or the famous IBC, but whatever you call it, here’s the classic recipe for the fluffiest, creamiest, easiest cake around that won’t heat up the kitchen on hot summer days. Need to make more of this fabulous cake? Click and slide the number next to ‘servings’ on the recipe card below to adjust the ingredients to match how many you’re feeding—the recipe does the math for you, it’s that easy. Who invented the Icebox Cake? 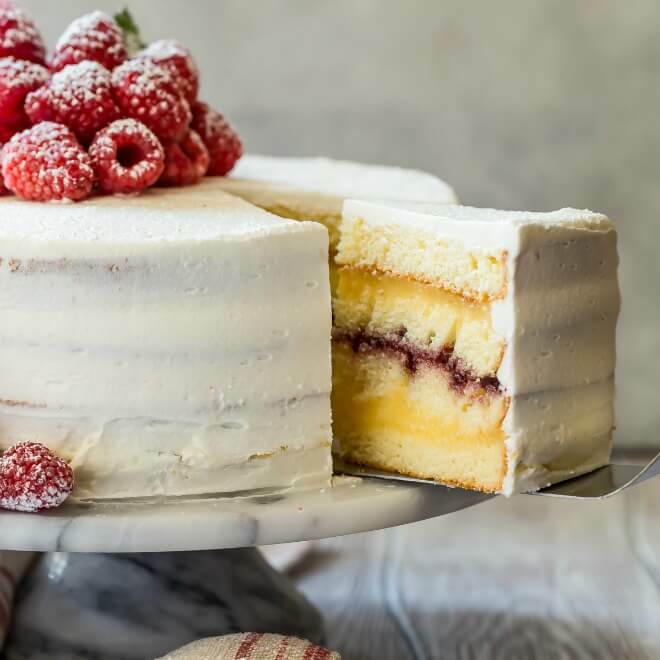 Recipes for icebox cakes started showing up in the 1930s, when companies would give out recipes to promote their new kitchen appliance, the electric ice box! That’s right, back then the average home cook didn’t have a refrigerator that plugged in; they had an insulated box that held a block of ice, delivered by truck, which kept food cool. 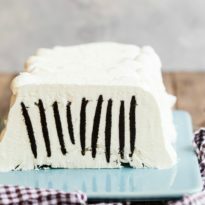 The icebox cake became so popular not only because it was easy to make, requiring no baking, but because it was so delicious. 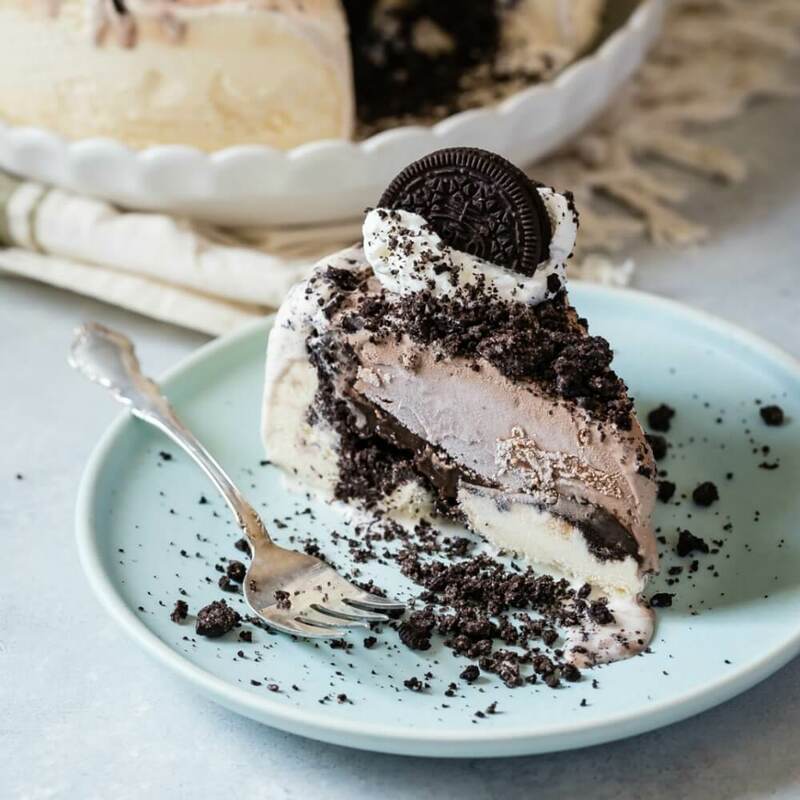 Besides being the most ethereal, delicious cake ever, icebox cake is an old fashioned cake that is made from little more than crisp chocolate wafer cookies and freshly whipped cream. No baking required! The cookies soften overnight and become glorious ribbons of cake. Nabisco chocolate wafers, introduced in 1924, are the most commonly used cookies for this, but home cooks all over the world have experimented and come up with endless variations. Can you make Icebox Cake cupcakes? 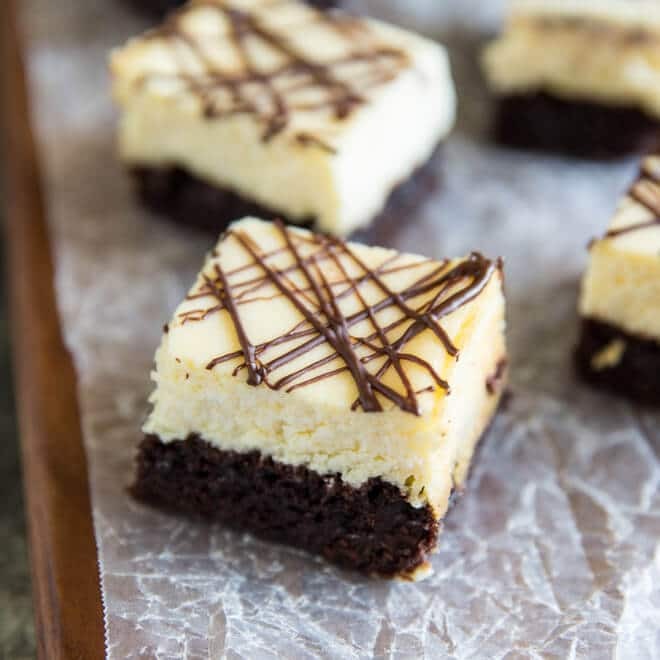 If you’re interested in making single servings of this recipe, you certainly can stack the cookies up on top of one another in pretty cupcake papers for darling single servings of icebox cake. Another fun way to make this cake is by turning the cookies into a big layer cake, using 6-7 cookies arranged in a circle on a plate and topping them with a layer of whipped cream. Keep repeating with the cookies and whipped cream until you have a nice sized cake. Top your cake with cookie crumbs made from any broken wafers. How far in advance can you make Icebox Cake? Because the cookies need time to absorb the moisture from the whipped cream, you need at least 4 hours, ideally. You can make this cake the night before you need it and let it set up in the refrigerator overnight, or make it in the morning before a party. And oh, what a party! Can you freeze Icebox Cake? 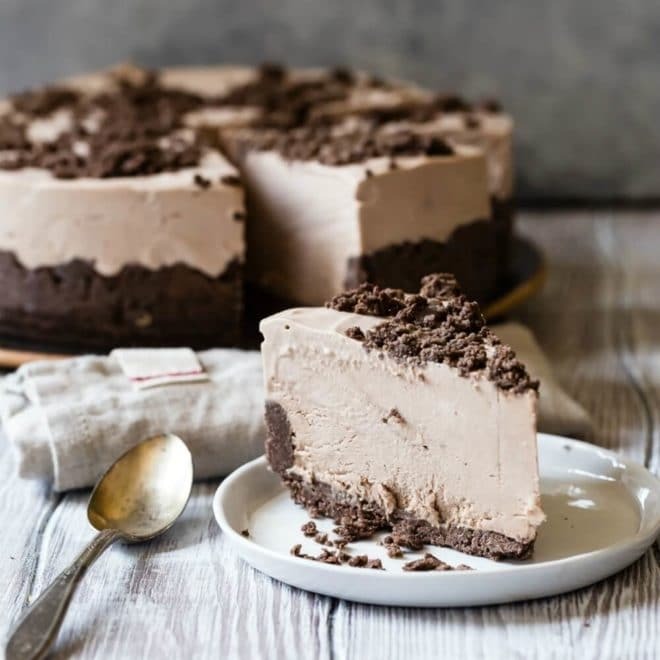 This recipe uses the freezer to give the cake a final boost of firmness before serving, but I wouldn’t recommend freezing icebox cake for long periods of time. Where can you find cookies for Icebox Cake? If you’re hunting for Nabisco’s Famous Chocolate Wafers, look in most well stocked grocery stores, or try online. How long does Icebox Cake last? Stored in the refrigerator, icebox cake should last 2-3 days, or until you eat every last bite. Can you make gluten free Icebox Cake? If you have a gluten intolerance or are making this cake for someone who does, try your favorite gluten-free cookie, such as Tate’s Gluten Free Double Chocolate Chip cookies. The texture may be a little different because of the chips, but I’m betting it will still be delicious. What can you add to Icebox Cake? This recipe, like so many classic recipes, leave a ton of room for creative improvisation. Cookies: Switch up the cookies, using ginger snaps, graham crackers, or sugar cookies instead of chocolate. Make your own chocolate espresso wafers for next level sophistication. 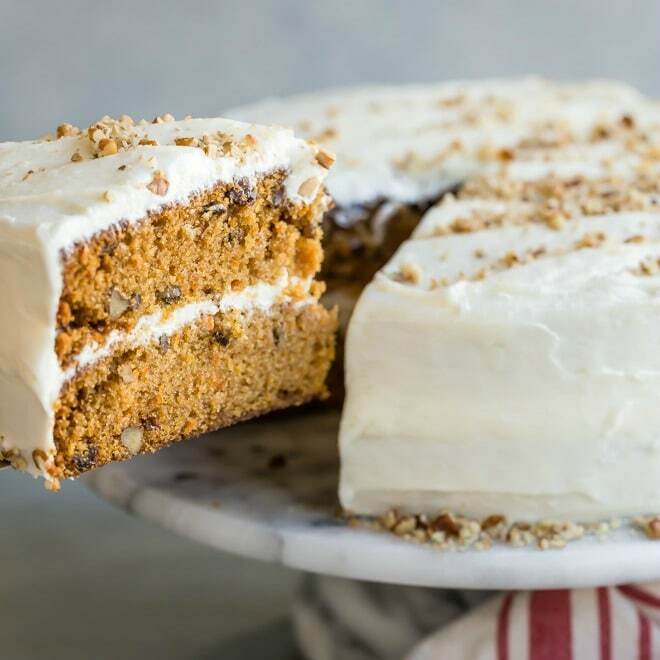 Hint: if you love ginger, I’m not going to protest if you make this cake with Anna’s Ginger Thins. Heavenly! Or add fruit: Try a berry sauce, fresh berries on the side, or lemon curd in between the layers. Can you use whipped cream in the can to make Icebox Cake? Unfortunately, whipped cream in the can doesn’t work well with this recipe. You have to make your own, because it holds up better than the canned stuff. 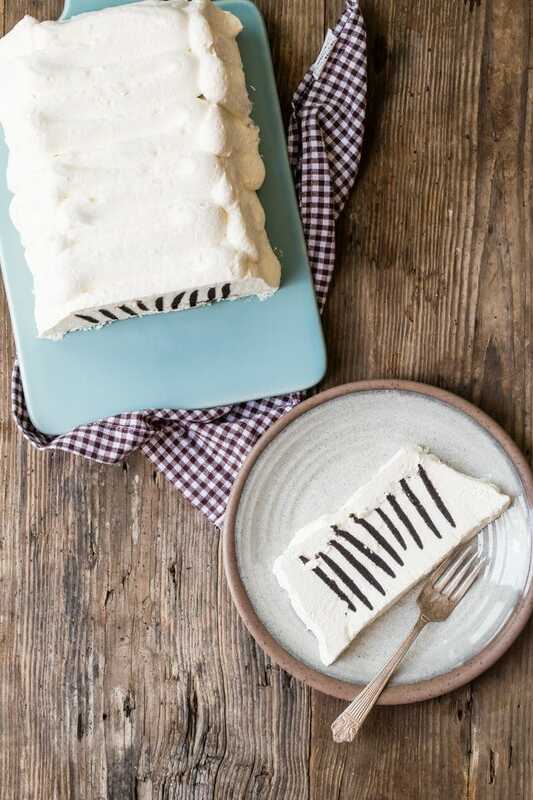 Save this Icebox Cake to your “Desserts” Pinterest board! In a standing mixer fit with the whisk attachment, or with an electric mixer by hand, whip cream, powdered sugar, and vanilla together until soft peaks form. Cover the inside of the loaf pan with plastic wrap. Spread a thin layer of whipped cream on the bottom. Stand up a cookie on each short end of the loaf pan. Stack 9 wafers on top of each other, spreading about 1 tablespoon of cream filling on top of each wafer. Repeat with remaining wafers until you have 3 stacks of 9 wafers each (up to 11 wafers if that is what you need to fill the row). Lay the cookie stacks on their sides in the loaf pan (you should have 3 rows). Reserve half the whipped cream covered in the refrigerator. Cover completely with remaining whipped cream. Cover with plastic wrap and refrigerate at least 4 hours or overnight. Turn out from loaf pan and cover with remaining whipped cream. Freeze 30 minutes or until solid. Slice and serve. This sounds delicious! I am confused about your stacks though. You said to stack 9 cookies then to repeat until I have 3 stacks of 6 cookies? Where does the stack of 9 go? I also don’t understand what the single ones on each end do. I don’t see them in the pictures. Thanks for the great recipes! Hi Karen, so sorry about the confusion!! It should have been 3 stacks of 9 cookies. But yes I need some process shots which I will shoot on Monday so this all makes more sense. Basically you line the inside sides of the loaf pan with cookies (3 cookies on each of the long sides). Then you fill those cookies across with a stack of cookies, probably 9 cookies but up to 11 cookies. But you make those stacks of 9 cookies outside the pan, putting whipped cream between each cookie, and then you just lay the stack of 9 cookies in the pan (to basically connect the single cookies standing upright on the insides of the loaf pan). Does this make any sense at all?? You need pictures. I’ll get you pictures. So sorry for the confusion and the typo (“3 stacks of 6 cookies” is now “3 stacks of 9 cookies”). Nothing is better than icebox cakes! This one looks so delicious and perfect to make with kids too!